Is a bottling company about to get unlimited groundwater when locals have been conserving during the drought? Some residents of Mount Shasta City are concerned a loophole in a new groundwater law means that a planned bottling operation by Crystal Geyser could dry up local groundwater wells. A large beverage bottling operation could receive a free pass to use all it wants of a small Northern California community’s groundwater supply, thanks to an obscure allowance in state water laws and a protective trade agreement. Crystal Geyser has plans to launch a new beverage bottling operation in the small northern California town of Mount Shasta. In response to California’s drought, locals here cut water use by about 40 percent between 2014 and 2015, according to officials. However, an exemption in newly drafted groundwater regulations could give the giant company leeway to use unlimited water from the community’s underground supply. The company has sworn it will take an insignificant volume of water from the ground and that local wells will not be affected. The concern among locals, however, is that there is nothing in the law that will curtail Crystal Geyser’s use. That’s because the city of Mount Shasta’s groundwater supply is considered to be a “volcanic basin,” not an “alluvial basin” – a geologic distinction that carries significant consequences under a set of new water use laws. The Sustainable Groundwater Management Act (SGMA), the newly passed legislation celebrated as a potential fix to the state’s aquifer overdraft problems, only addresses alluvial basins. Alluvial basins occur mostly in low-lying valleys, where substrate like sand or gravel is saturated with large volumes of water that flows in from upslope sources. SGMA’s new regulations are based on Bulletin 118, a Department of Water Resources list that names several hundred of the state’s important groundwater sources. All are alluvial basins. Tim Godwin, an engineering geologist with the California Department of Water Resources, says there are two basic types of groundwater sources recognized by scientists – alluvial basins in valley areas, where river sediments have accumulated for long periods of time, and aquifers in mountain regions, where the ground consists mostly of solid or fractured rock. “[The Sustainable Groundwater Management Act] only focuses on alluvial basins with lots of groundwater production,” he says. An alluvial basin is characterized by predictable “radial flow in permeable, porous medium,” he says, adding that this flow pattern makes managing, predicting and limiting water use relatively easy. But groundwater in mountain areas is very different. It doesn’t move through the earth in the relatively homogeneous way that water generally seeps through the alluvial sand or gravel soils of valley regions. Fractures, porous volcaniclastic rock and tubes created by lava flows all serve as conduits for water, he explains. Groundwater in areas of solid bedrock flows in even less predictable ways. Godwin says that roughly 98 percent of the state’s groundwater use comes from alluvial aquifers, meaning few people will be affected by the exclusion of volcanic and fractured rock aquifers from SGMA. But for Californians who depend on mountain groundwater deposits, the exemption of such basins from the widely heralded new groundwater management laws seems an egregious omission. In the Mount Shasta region, the water that flows just below the surface ultimately winds up in the Sacramento River system – an increasingly troubled ecosystem in which native species are vanishing and on which millions of people, and vast sprawls of farmland, depend. “Leaving the Sacramento River’s source region out of SGMA is like trying to cure peripheral vascular disease without addressing the heart,” says Vicki Gold, who lives just outside of the city of Mount Shasta. Godwin says that aquifers that won’t be covered by SGMA may still be monitored and regulated by county officials. But Gold says she and other locals don’t trust that county authorities will do so in a fair way. Even if Siskiyou County wishes to bar Crystal Geyser from pumping the region’s groundwater, the beverage giant may have its way with local water resources through a new business-friendly trade agreement called the Trans-Pacific Partnership. The TPP has been drafted through years of negotiations between the United States and 11 nations surrounding the Pacific Rim, and it could be activated this year. The partnership will work as a boon to economic growth and will essentially allow multinational business ventures to skirt local regulations. 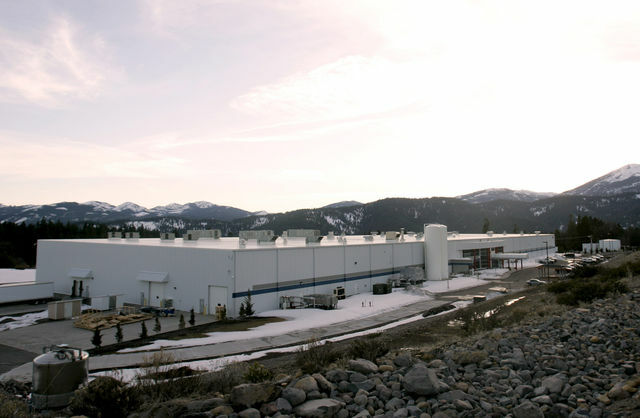 Since Crystal Geyser is owned by a Japanese pharmaceutical firm called Otsuka, the Mount Shasta beverage bottling project could be protected from any restrictions imposed by state or county laws. Nancy Price, the national co-chair with the Alliance for Democracy, says the TPP will allow corporations to sue governments in a TPP-specific court if any laws infringe on the profits of foreign-owned ventures. According to Gold, when Coca-Cola operated the bottling plant now being resuscitated by Crystal Geyser, local groundwater supplies dwindled. Raven Stevens, the community liaison for the Mount Shasta Gateway Neighborhood Association, moved to the area four years ago but has talked with many of her neighbors about groundwater quality and reliability in recent years. She says at least six wells within half a mile of the bottling plant went dry or almost dry between 2005 and 2009. In 2010, the beverage maker left town. “Then everyone’s water issues went away and didn’t even return through the worst drought in history,” she says. Stevens says that Coca-Cola representatives informed of the well issues at the time said that because only some local wells, and not all, were experiencing issues the problem must have been related to the landowners’ pipes or the wells themselves. “But we’re in a volcanic aquifer,” Stevens says, explaining that the unpredictable movement of groundwater in such aquifers makes Coca-Cola’s straight-line conclusion much too simplistic to trust. Greg Plucker, community development director with Siskiyou County, says no records exist of resident complaints about groundwater supplies during Coca-Cola’s use of the bottling facility. Moreover, he says a review by the Regional Water Quality Control Board in 2001 determined that extracting 450 gallons (1,700 liters) per minute from the aquifer below the plant would not negatively influence local groundwater water supplies. He says Crystal Geyser has plans to use much less than that. Steve Burns, with the public relations firm Burson-Marsteller, which is representing Crystal Geyser, confirms this. He says the plan is to draw 80 gallons per minute – or 115,000 gallons per day – from the site’s production well and, perhaps in several years, if the project is successful, double that use. Never, he says, will water use on the Crystal Geyser site approach what Coca-Cola pumped from the ground. Stevens believes this is misinformation. She says that an additional domestic well on the property will have the capacity to take up to 320 gallons per minute. Eventually, she warns, Crystal Geyser’s project will be pumping at least the volume of water that allegedly drained locals’ water supplies seven years ago. “There is nothing legally stopping them from taking all the water they want,” she says. Following a lawsuit filed last August by a citizens’ group demanding a thorough review of Crystal Geyser’s proposed project, the company announced it would conduct an environmental review to ensure its bottling plant does no harm to the community. The first step in that process is submitting review applications to local agencies. At press time, Burns said the county application had been submitted months prior and another application would be turned in “any day now” to the city of Mount Shasta. He says it may take the city and the Siskiyou County Air Pollution Control District another two months to determine whether or not an environmental impact report is actually needed. An EIR, he says, could take many months more. Plucker, with Siskiyou County, says that even though California’s incoming groundwater laws will have no effect on the volcanic basin beneath Mount Shasta, an environmental review could potentially derail or stall the project. Stevens feels the Sustainable Groundwater Management Act will adequately serve communities in low valleys but fails communities like Mount Shasta. Alastair Bland is a freelance writer based in San Francisco. He can be reached via Twitter at @allybland.